Holga Medium Format Camera Review – Still Worth It, or Total Cliché? Oh God, not again. I recoiled as he held it out to me. It was that camera. The one with slippery metal clamps on the side, the off center viewfinder, and the flash that never worked. I thought I was being pranked. Free cameras are often tempting, but it’s different when you and the camera in question already have a history. I sold mine years ago out of frustration with its terrible build quality and penchant for wasting rolls of film. But the difference between then and now was that I now write for a camera website, and the Holga hasn’t been covered yet. “Sure.” I replied, turning the camera over in my hands. “I’ll see what I can do with it.” I looked at the nameplate; HOLGA 120 SF. Yep. Here we go again. Needless to say, the Holga and I haven’t always gotten along. Don’t get me wrong, it’s not that I don’t like clunky, minimalistic cameras. In fact, I really like the idea of making great images with a virtually featureless machine. So what’s the deal with the Holga? Let’s start from the beginning. The Holga is a plastic toy camera invented and manufactured in Hong Kong in the early ‘80s. It was intended as an inexpensive all-purpose camera for the Chinese working class, a market which at the time preferred medium format film. But the introduction of the Holga coincided with the growth of the Chinese middle class who could purchase slightly more expensive 35mm film, making the medium format Holga obsolete. Obsolescence, however, was hardly the death knell we might expect for this humble plastic camera. Seeing no future in its home market, the makers began to market the Holga to the West as a quirky, unpredictable toy camera. Photo geeks soon discovered that the Holga had a knack for producing dreamy, intense images, images that were a far cry from the tack-sharp, clinically perfect images produced by autofocus machines of the day. And at a time when it felt like camera technology (and technology in general) alienated old-school shooters with every innovation, the Holga stood defiant with its simple meniscus lens and homely plastic body. For many, the Holga evolved to become a symbol of resistance to the all-consuming technological boom of the late 20th century. The myth of the Holga spread quickly and the ensuing Holgamania gripped the photographic world for much of the 2000s. Shooters from all over flocked to the chunky black box in the hopes that they could make art with the camera’s unique lo-fi aesthetic. But the Holga’s reign had to end at some time, and it eventually did. Fascination with the camera seemed to wane at the beginning of the 2010s, and almost as if on cue, the factory that manufactured Holgas closed its doors in late 2015, signaling the end of the Holga era. But as any good classic camera lover knows, these things don’t die easily. The Holga has since been revived by another Chinese manufacturer (at a slightly increased price), but whether or not its reputation can be restored remains to be seen. This begs the question; is the Holga still relevant in 2017? There’s not much to be found on a Holga. It’s a medium format scale focus camera equipped with a wide 60mm f/8 lens and a rotary shutter that stays fixed at about 1/100th of a second. Newer Holgas have added one additional aperture setting and a bulb mode, but the basic design remains virtually unchanged from its early, austere self. Thankfully, the Holga is a camera that is more than the sum of its parts. It would have to be; its parts individually aren’t worth much, if anything. Almost everything on the Holga is made of cheap plastic except for the shutter spring, the shutter plate, and the strap lugs/door latches and even those are made of the cheapest metal. Its overall design is similarly economical, which basically means that it’s terrible. But like Plan 9 from Outer Space or The Room, it’s so terrible that it’s entertaining. For example, the viewfinder doesn’t even come close to matching the actual frame recorded by the Holga’s 60mm f/8 single element lens. It’s too far off center and shows a much narrower field of view than the lens actually covers. To make matters worse, the “aperture control” on older Holgas doesn’t actually work. The aperture hole in the aperture selector arm in older Holgas is larger than the smallest hole in the light path, which restricts shooting to an aperture of about f/10. Additionally, the Holga’s frame window counter combined with its poor build quality means the camera leaks more light than the Titanic did water. But the most hilarious design flaw is found in the Holga’s strap lugs, which double as back door latches. If you hook up a strap to these lugs and let the camera drop around your neck, the weight of the machine will cause the latches to no longer function as latches. The back flies off and your precious six dollar roll of film is wasted. So don’t put too much pressure on the camera’s strap. The funny thing about the Holga’s design is that it cuts so many corners that we end up with a perfect circle. In other words, it’s because of its deeply flawed design that the Holga became so appealing. The Holga’s limiting nature forced shooters to rely on their wit and creativity to make compelling images, making the camera a firm favorite with educators as well as with fine art photographers. But wait, couldn’t any badly made toy camera with a plastic lens do the exact same thing the Holga does? Not exactly. Yes, toy cameras can make delightfully quirky images if used correctly, but few can make the surreal, intense images that are the Holga’s exclusive domain and the reason for its fame. The Holga accomplishes this by being the most perfect storm of bad design and accidental ingenuity in photography. Its poor build quality results in the Holga’s beautiful light leaks which streak across images like errant paintbrush strokes. The single-element 60mm meniscus lens distorts images into looking like they were taken in an alternate reality. And perhaps best of all, the camera uses medium format film which enables the Holga to make surprisingly sharp photos with beautiful depth. The Holga built its fame upon being an incredibly lovable piece of junk, but there’s a steep price to pay for using the camera. Shooters will have to contend with the Holga’s penchant for random failure. Shutters have been known to stick and destroy perfectly good exposures, and a lack of padding behind the film spools can make film wind on loosely, fogging up entire rolls of film. And worst of all, the aforementioned back door latches can and will fail if left unchecked. Although these problems can be remedied by a number of simple DIY mods, the fact that these problems threaten the very existence of your images on film is damning. Shooting an unmodified Holga (which many first-time shooters will) is a dangerous proposition, one that can turn prospective shooters off from the Holga. And it’s this thing that turned me off from using the Holga in the first place. Too many of my rolls of film were unknowingly wasted at the outset because I wasn’t in the know about the velcro mod or the foam mod. The camera’s usage of more expensive medium format film also meant that I was out a good amount of money every single time the Holga decided to fail. But what may be the Holga’s greatest flaw is that its unique look has, in 2017, become anything but unique. Through a combination of Holga-inspired Instagram filters and the widespread popularity of the Holga itself, the Holga look has been pasted so indiscriminately onto everything in the past couple of decades that the look has lost any meaning it once had. What was once profoundly surreal in the Holga has, through over-saturation, become nothing more than a cliché. However, in my second run with this aloof machine, I did catch a glimpse of the camera’s initial appeal. Even if the look is a little played out, one can still use the Holga to achieve the kind of unsettling visual effect that remains its calling card. And after all the analysis, it’s still extremely satisfying to have simply dodged all the pitfalls and come out victorious with a good image at the end. Have we beat the Holga look to death? Sure. But that doesn’t mean that it’s completely useless. I’m sure any shrewd photographer with a good creative vision could use a Holga to powerful effect and rescue it from the jaws of the shark it long ago jumped. Maybe if we used these things for what they are instead of what they represent, we’d get the kind of profound images we know this camera is capable of making. After all, that’s how the lowly Holga became famous in the first place. We Pick Our Desert Island Film with Special Guest Mike Padua of Shoot Film Co. I was lent one of these by a friend, after finally buying some film i taped up the seams, dusted off the lens and went for a walk. After developing the roll of delta 100 in 1:100 rodinal stand I was pretty suprised at how well this camera actually produced images. I definitely wouldnt just dismiss this camera as junk, but at $8+ a roll for 120 I’d rather use a more profesional camera. Back when I still into the Lomo LC-A and the whole low-fi thing I would use a Holga. It’s certainly a matter of taste, but I think it’s capable of taking good pictures. The edges of the frame are often blurry but the center is usually pretty sharp. 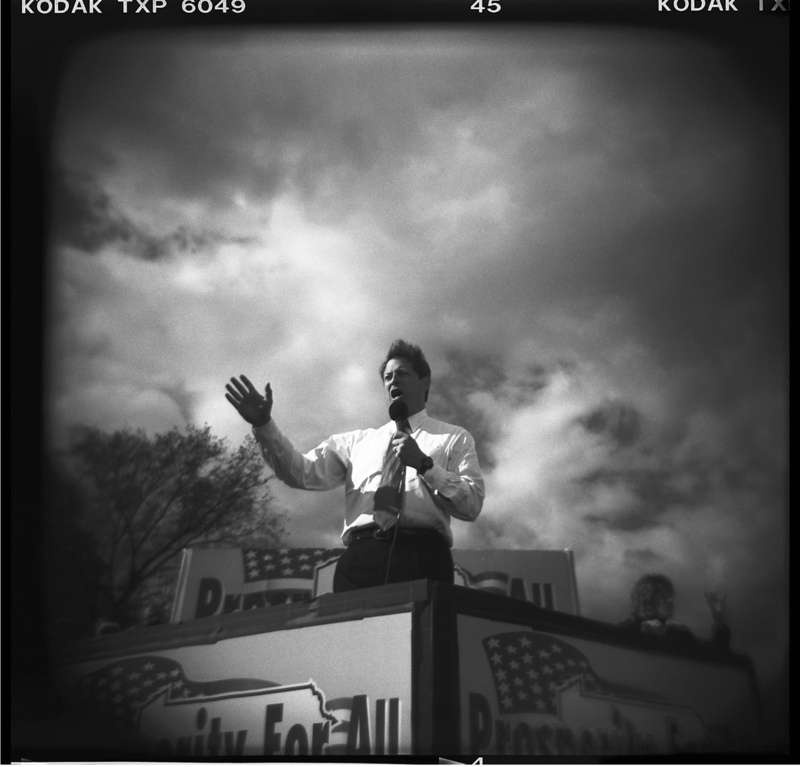 There’s a “dreamy” quality to Holga images that works well, given enough light and the right subject. However, the price of 120 film and the tendency of the camera to jam caused me to set it aside years ago and use my Mamiya 7sii and Yashica Mat 124G instead. The price of shooting medium format definitely flies in the face of the Holga’s reputation for being inexpensive. I don’t blame you for abandoning it though; I don’t trust mine quite enough to use it regularly. A Holga 120N was my first film camera in 2012 and I was amazed by what could be created by such a simple hunk of plastic. It got me close to the raw magic of photography right away. As others have mentioned, the expense of 120 film started to put me off, so I modified it take 35mm film – complete with super wide frames and exposing the film right to the edges, beyond the sprocket holes. Experimenting with close up filters gave it a whole other lease of life and creative direction too. I look back at my Holga images from five years ago and they bring a smile to my face and remind me that sometimes it’s the simplest and most unlikely cameras that bring the most fun, and the most interesting photographs. Josh, you did indeed produce some nice pictures. Your friend was right! Thanks Jon! Glad you enjoyed the review and the images! Great review! I used to have a Holga 120 and now regret giving it away, cant bring myself to spend anything more than $10 on one. I was lucky enough to receive a Holga 135 this summer from a friend. It produces basically the same image style as the 120 and the back is much more secure and light proof. Never hurts to used a few strips of gaffer’s tape on these cameras though. The only drawback on the 135 is not getting the square image. Otherwise the Holga is a very temperamental camera thats fun to use on occasion. Great shots Josh (i’m not talking to myself, I swear haha)! Temperamental is the perfect word to describe the Holga 120. I actually used a Holga 135 years ago. The one thing that irks me about that camera is the longer focal length of its lens. For me, a lot of the Holga’s charm lies in its wider field of view. Glad you’re getting some mileage out of yours though! I couldn’t do it man! I couldn’t do it… I gave it to a kid who bought a Minolta X370 off me..
Now a Lubitel 166? Yeah baby! For me the Helga 120 was also in 2010 the first contact with film cameras. Even if I have only shot a few rolls with it I like the pictures very much. The back door latches on my 120N are actually kept closed and secure by the normal strap position. However, I have heard that the back door can actually fly off relatively easily and its a good idea to secure it with some tape. Between the cost of the film/processing, and the time and effort it takes to shoot the pictures, it just isn’t worth it to have the film ruined by the camera. If you want images on 120 film, buy a Yashicamat, an Autocord. Buy a Perkeo (which is smaller than the Holga), a Balda, an Agfa Isolette, a Zeiss Nettar. You might have to have them serviced, but altogether any one of those will be under 200 bucks, and you’ll have a camera that was designed and built by real engineers and real camera companies. At $20 a roll, you can waste $200 pretty quickly. On any of these cameras, the back won’t fall off, there won’t be any light leaks, and even a 3 element lens will produce “fine art” images. It’s way easier to make a sharp image unsharp than vice versa, and you can add “light leaks” exactly where you want them. The best advice I can give about shooting a Holga is: match the film speed to the light you’re shooting in so that the exposure is correct when you take the aperture and shutter speed into consideration. If you stray out of these light conditions to any degree your exposure will suffer. Guesstimate the subject distance as best you can and fill the frame with an interesting, well thought out composition. If you take the Lomography approach of just snapping away without rhyme or reason you will inevitably burn through your 12 frames quickly and be very disappointed with the results. Toy cameras with no exposure control CAN produce wonderful dreamy images but they require more skill from the photographer than many people appreciate. Having said all this, I do have a few great shots from the several rolls of 120 that I have put through my Holga 120N.